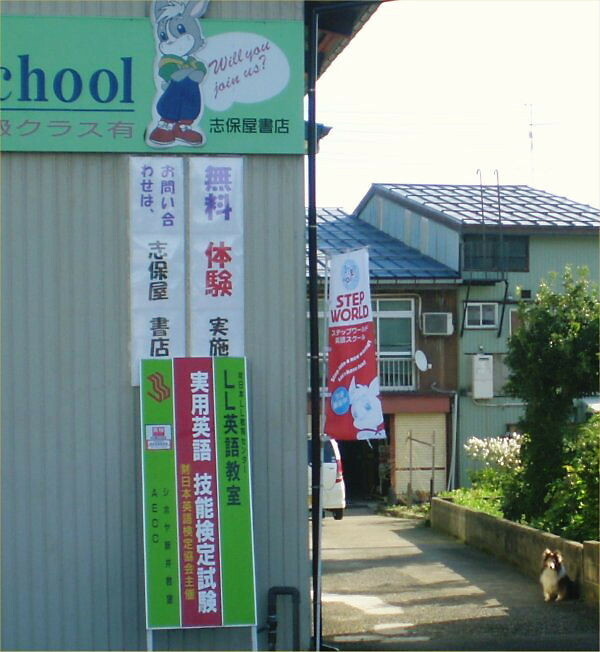 On Sunday, October 14th, Eiken: English Testing by STEP (The Society for Testing English Proficiency, Inc.) was held in the morning and afternoon. 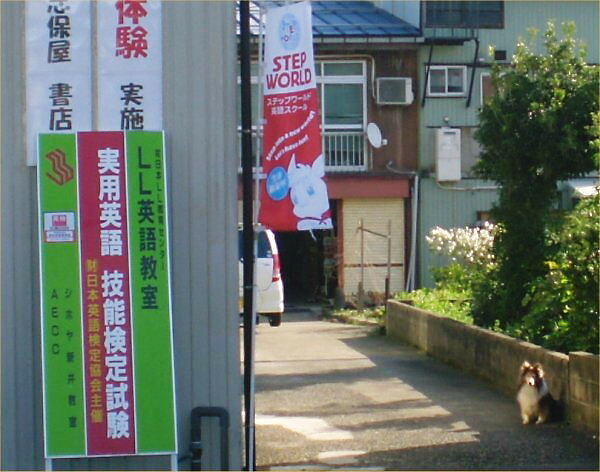 Yoshy got up earlier than usual and stood the signboard against the wall of a storehouse. Chabby and Erie (Yoshy’s pet-dog) are waiting for the examinees. 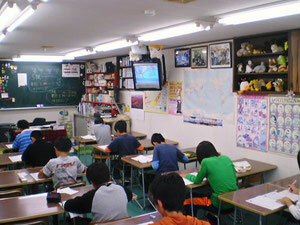 This scene is of the 5th grade. As you know, we can’t get command of English when we are taking Eiken, but we can realize “what is necessary for us” in daily learning English.